Everyone has a story to tell, but the act of actually writing it down for others to read is an intimidating proposition for many. In the end, there are usually only three things you need to do to capture your life and put it on paper. Nowadays it’s easy to overlook the details of life. We move so quickly and busy ourselves so thoroughly that there’s no time to smell the roses. As life storytellers and writers, we need to understand that the smell of roses is important. So we need to observe it. Details are interesting, lend credibility to your story and can even serve as meaningful plot devices. They can’t be ignored. Unplug – Detach yourself from your electronic devices. Leave the house without your cell phone from time to time. Sit in your living room without the constant noise of your television. Although they have important purposes, your electronics demand attention and that’s attention you could be using to observe and store up details for the next chapter of your memoir. Quiz yourself – It’s not enough to witness the details. You have to remember them too. A fun and challenging way to stretch your observation and recollection skills is with daily quizzing. Write up 100 note cards with simple questions on them – Where was I at 2:15?, What was the most frightening thing I witnessed this morning?, Did I see any animals today? Describe them. Each evening pull out a dozen at random and see what you can remember. The trick to collecting meaningful details is simply to be present in your own life. Attempt to reduce the number of distractions you deal with and focus on the periphery. There’s good stuff hiding there. 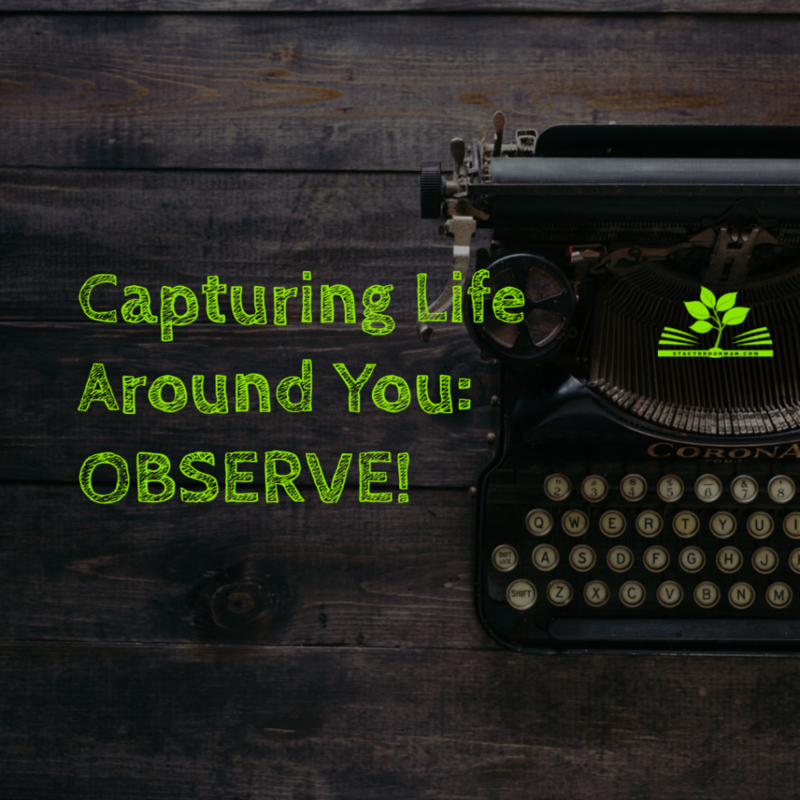 Stay tuned for our next blog post where we’ll share #2 of the three things you need to do to capture your life and put it on paper! Ready to learn how to write about your life with flair and fun? Check out our Lifestory Laboratory here!